Take a Look in our Roofing Job in Verona!! 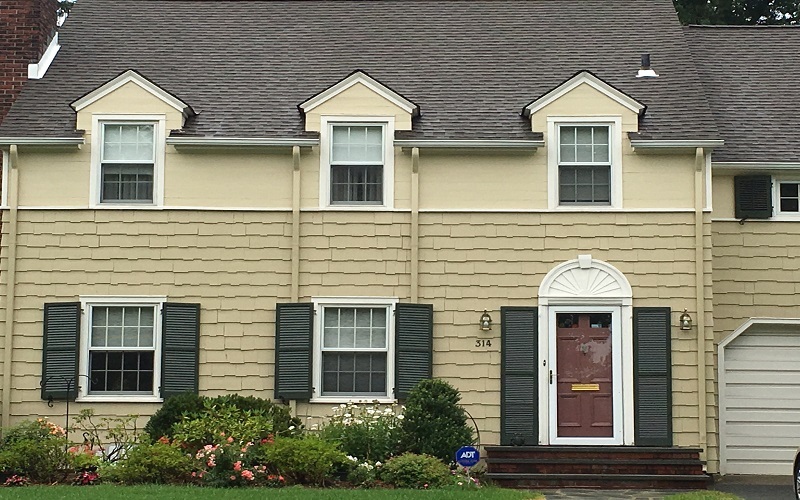 Take a look at our Exterior Painting & Roofing project in Verona – New Jersey! Roofing work by Gikas Painting! Every homeowner wants to protect and improve the value of their most expensive asset, their home. Now is the time to think about what sits on top of it. namely, your roof and gutters. Replacing your roof and gutters is a home improvement likely to return more at resale, returning 80 percent or more. If the roof is leaking, buyers won’t get beyond that. Replacing your roof may increase what your home is worth but certainly will help you maintain the value that it already has. Replacing your roof and gutters may not seem as nice as new granite countertops, fancy appliances, or a new flooring, they can have a disastrous effect on your home value. A leaky roof and broken gutters will allow water to flow to places where it isn?t supposed to and could cause sever damage and health risk to you family. Gikas painting will help you protect your investment and bring your home to its full beauty and value. While most roofingcompanies think that a roof is just a roof, at Gikas painting take our work very seriously. We drive by and see houses that we get excited to work on. We enjoy every minute of your project from the initial consultation to the final piece of trim. Please take this opportunity to view our work page. You will see all of the fine detail we put into our work.